New and old merge in the retrofuturistic Tonke Campers. While many campervans and motorhome rentals are more about function than form, Tonke is a company that strives to incorporate both in their vehicles. According to Tonke's website they believe that "a good design is timeless. 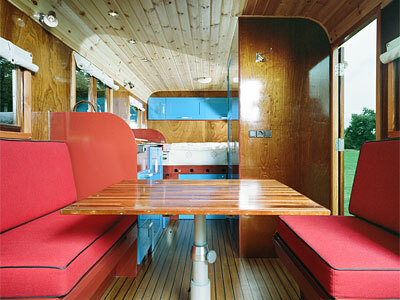 For that reason, when developing our campers, we look at classic beauties such as yachts and gypsy caravans. 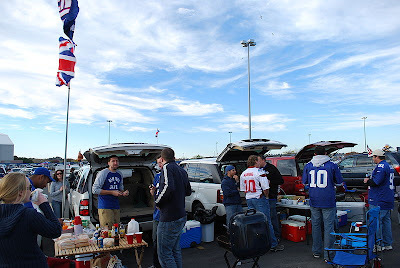 There is, however, nothing old-fashioned about the technical installations of our campers." Indeed Tonke's campers are all about melding the old and new. Luxe wood panelling paired with a design that can be unpacked in just about 15 minutes (and with a vehicle that can be used without the camper, too). This Netherlands-based company makes campers attractive enough to use in your backyard as an office or guest house, but that are also a great option to take to the open road with. Tonke has developed four different models of their functional camper. There is the Explorer 1--billed as "compact and adventurous"--with a sitting area that transforms into sleep space, a vertical garage, a shower and a kitchen. At night you can open the double doors and feel like you're sitting, or sleeping, directly under the stars with interior dimensions of 370 x 205 cm (about 145" x 80"). The Explorer 2 is also compact and easy to take on the road, but features a different layout than the 1. The Explorer 2 is built with comfort in mind and is for those not interested in hauling bikes with them. Basically, the space used for Explorer 1's vertical garage is used for living quarters here allowing for a permanent bed and living/dining space. Add a vertical garage to the layout of Explorer 2 and you have the Fieldsleeper 1. The other main difference between the two is that the Fieldsleeper 1 does not feature clothes storage above the bed. The Fieldsleeper 2, meanwhile, is the Tonke flagship model. Space used for storage in the Fieldsleeper 1 is used for living here, making the Fieldsleeper 2 both expansive and comfortable with sleeping space for three. Prices range from € 44.005 for the Explorer 1 (€ 74.005 for the Tonke Camper Explorer 1 with Renault Master 100 hp and AC) and € 46.980 for the Explorer 2 (€ 76.980 with the Renault Master 100 hp and AC) to € 51.740 for the Fieldsleeper 1 (€ 83.740 with VW airco 136 hp) and € 53.740 for a Fieldsleeper 2 (€ 85.740 with VW airco 136 hp). 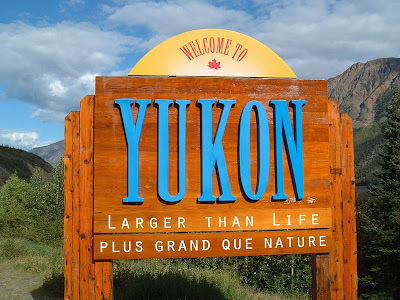 Want roadtrip ideas for your motorhome rental or new Tonke Campervan? Check out MotorhomeRoadtrip.Com for tons of different routes, tips and ideas. Artist Kevin Van Braak loves nature, so much so that one of his latest projects is designed to bring nature to the city. Whereas many people turn to campervan rentals to take them to nature, Van Braak has rethought that arrangement. While the artist's plain white camper might look like any other when closed up and being towed behind a vehicle, it's something very different once opened. For his latest project Van Braak transformed a 1976 Constructam Caravan into a little garden of his own. The artist cut the caravan in half so that when opened it lays flat, revealing a space of artificial grass, trees and woodland creatures that seats about 15. "I am interested in artificial landscapes - particularly with the Dutch landscape as a lot of it was reclaimed from the sea," Van Braak told the UK's Daily Mail. "I find that these days people go camping - wanting to be closer to nature but in the end the experience is artificial." 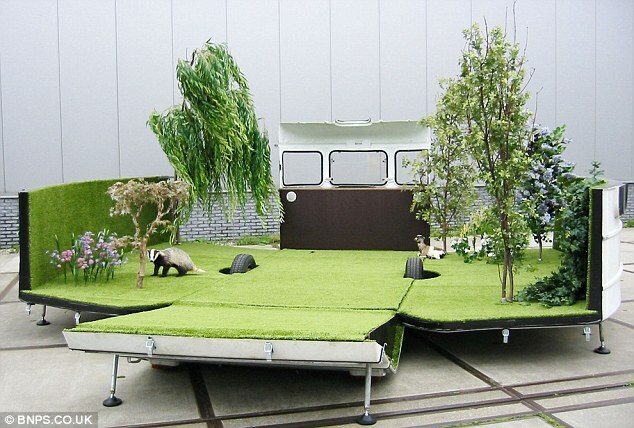 The artist's faux spread of grass can be used as a camping or picnic site and even comes with a barbecue that can be plugged into a generator. While the unit is up for sale no price has yet been named. Definitely a perfect purchase for those looking to bring some serene green into their concrete jungle. If you prefer your nature real then head to MotorhomeRoadtrip.Com for route and motorhome rental roadtrip ideas in the great outdoors. Are you ready for the new generation of functional and efficient motorhomes? 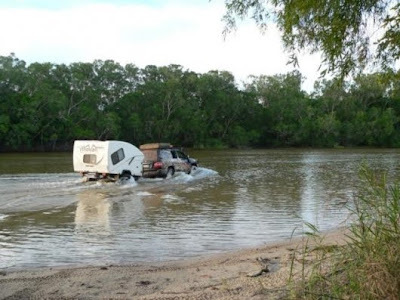 While many take joy in spacious and comfortable, albeit it slightly bulky, campervan rentals others bent on adventure and off-roading want something a little easier to get around in. Enter the Innovan, a new camper that is tough and lightweight, with a fibreglass shell, which makes it well suited to varied number of travel needs. The unique, versatile and, yes, expensive design came about when Welby Davidson of Toowoomba, Queensland and his wife Marg developed a prototype to fit their own adventurous needs. "The interest it created was so amazing that we decided to go into production," Davidson told Gizmag. Fortuitously, Davidson's son is an industrial designer who then "gave the camper a more efficient aerodynamic shape and came up with a range of ideas to better integrate its amenities.” Once completed the new and improved design underwent rigorous testing--we're talking over 20,000 kilometres on tough terrain like the Simpson Desert and Fraser Island. The Innovan is built to sleep two (choose between a single or queen bed) and can feature amenities like a shower, TV, water tanks, a refrigerator and indoor/outdoor kitchenettes. Designed to be aerodynamic during transit--the shape and lightness of the materials used help to prevent wind drag, a common problem with campervans--the Innovan is said to open up in 30 seconds. Keeping the Innovan light and easy to maneuver also means that it's a camper that can be brought into just about any type of terrain. Another great feature of the Innovan trailer is the airbag suspension. "With the airbags fitted, I don’t even need extendable legs," Mr. Davidson explains. "I drive the rig onto a flat surface, attach a set of legs and lock them in place before deflating the airbag suspension to drop the chassis and tray. Then I just drive away from under the Innovan before reinflating the Nissan’s air bags. To reload the camper I simply reverse the procedure. At river and creek crossings I maximise the vehicle’s clearance by inflating the airbag suspension. I also raise it when negotiating deeply rutted tracks or in rocky, off-road conditions." Innovan is currently looking for worldwide distributors and sells four camper models in Australia that range from the Trader ($20,000 AUD or about $15,000 USD) to the Voyager ($35,000 AUD or about $19,000 USD). 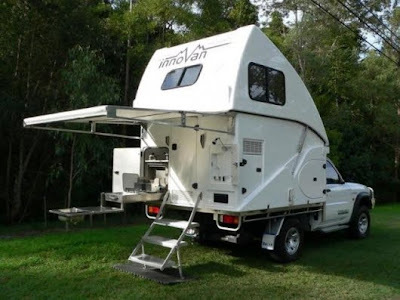 The Innovan campers are creating such a buzz because they are versatile (fitting into a modified dual and king cab chassis or tray-back ute), lightweight and just perfect for those who want to take their camper off the beaten track. Want ideas on routes for your Innovan camper roadtrip? Visit MotorhomeRoadtrip.Com now! For more photos of the Innovan visit Gizmag.Com. 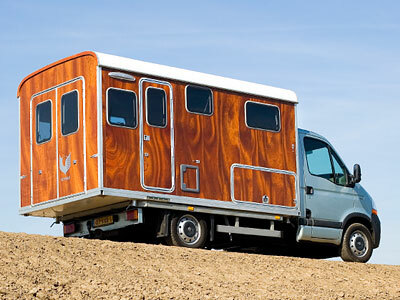 A New Generation Motorhome Rental? Meet the Frugal "Micro Home"
Forget oversized RVs or a motorhome rental that can fit a whole family, this tiny home designed by Michael Janzen is all about being compact while still remaining functional. This tiny home is Janzen's "experiment in searching for the lowest common denominator in housing...it will also be a showcase for frugality, simplicity, and sustainable living." Which, in these hard economic times, is certainly a breath of fresh air. 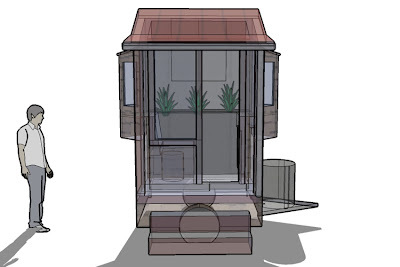 The mini cabin as imagined by Janzen is just large enough to work (nine square feet to be exact) and the design, despite being small, includes everyday essentials like a kitchen, toilet and shower. 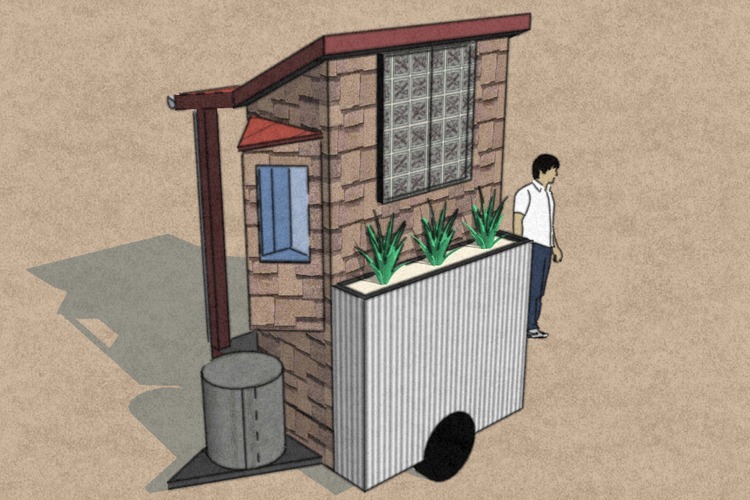 According to Janzen's Nine Tiny Feet site, all about his "Nine Foot Square Micro House," he is even looking to make the design more lightweight and compact to the point where he's hoping it can be pulled by a bicycle. How does Janzen do it, you ask? 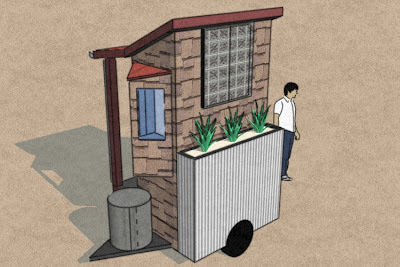 The main idea behind this tiny, frugal home is that everything has its place and that most amenities are put away when not in use. It's not surprising that a surplus of clutter has no place in a house like this. 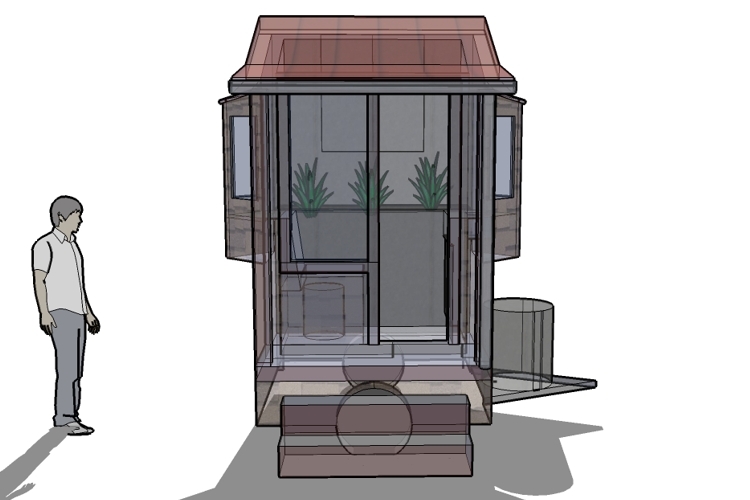 The mini cabin includes a floor drain for the shower, a vented sawdust toilet and a 12-volt solar electric system that runs on batteries and solar energy. The large windows help the space from feeling too cramped. In a nod to all that is green the mini cabin is pretty much self-sustaining and even includes provisions for capturing rainwater. If you've ever dreamed of having a home that was economical, environmentally friendly and pretty much off the grid then Michael Janzen's micro house is just the ticket. 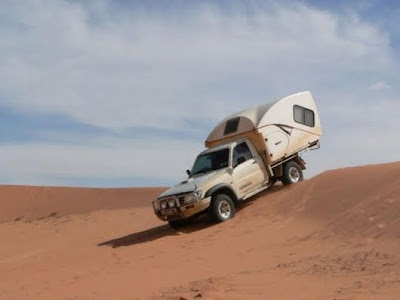 If, however, you need a bit more space, or your family is bigger than one, head over to MotorhomeRoadtrip.Com for great deals on motorhome rentals near you. 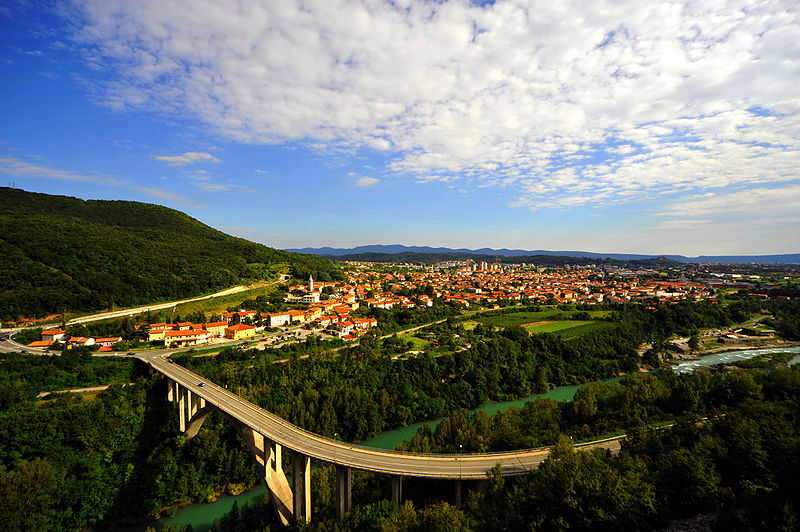 Great Surprises in Undiscovered Slovenia -- Perfect for a Campervan Rental Vacation! 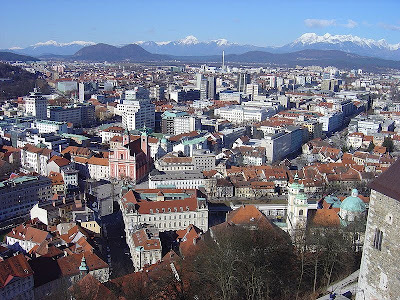 If you're planning a motorhome rental roadtrip in Europe and find yourslef tired of the usual suspects--Italy, France, Spain--and the recently hot tourist spots like Croatia and the Czech Republic then you might want to consider Slovenia. While few know much about the small country, population 2 million, even less have actually visited. 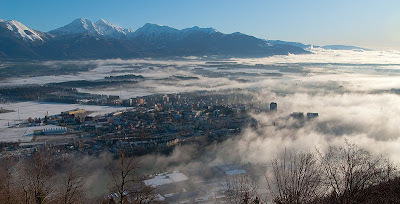 A mix of pristine natural beauty (Jessica Bezuindenhout's recent article in the South African Times quoted a local guide that stated that 60% of Slovenia is covered in forest), history, architecture, and culture will meet you when you land in Slovenia. We're talking a country blessed with a Mediterranean coastline and gorgeous Alps with only a couple of hundred kilometeres drive between them. There are castles (Predjama Castle is perched on a vertigo-inducing cliff), dense woods and caves at Postojna. In capital Ljubljana you can visit its castle and museums as well as the hip Preseren Square before travelling on to the charming area of Bled. Slovenia is beautiful, relatively safe and extremely affordable for Europe--especially considering the country borders Croatia, Hungary, Austria and Italy. Plus, there is great food and even better shopping. While the drive in your campervan rental from one side of the country to the other might not take long, stopping and discovering all of Slovenia's treasures just might. 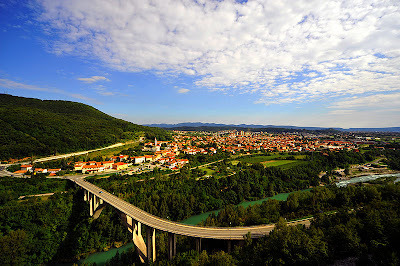 For more information on great RV rental deals as well as tips on planning your Slovenia motorhome rental roadtrip visit MotorhomeRoadtrip.com. Oprah Winfrey is the type of woman who can choose any kind of vacation she wants, but on a recent getaway with best friend Gayle King the talk show queen chose camping in Yosemite National Park, a perfect destination for a motorhome rental road trip. Oprah and Gayle have shared other exciting adventures in the past--including an 11 day road trip--and filmed this particular trip for Oprah's daytime show. Lady O decided to visit Yosemite, and spotlight the joys of camping, when park ranger Shelton Johnson brought it to her attention that a very small number of campers are African-Americans. 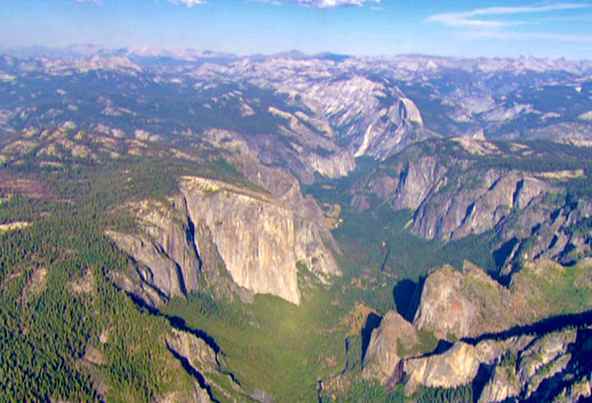 According to Oprah.com "out of the 280 million tourists who come [to Yosemite], just 1 percent are African-American." Determined to spread the word among the African-American community and beyond, Oprah and Gayle headed to Yosemite where they stayed in a camper. With Sheldon's guidance Oprah and Gayle explored the beauties of Yosemite including the Giant Grizzly (not a bear, but a huge sequoia tree), Mairposa Grove and Tunnel View (right). 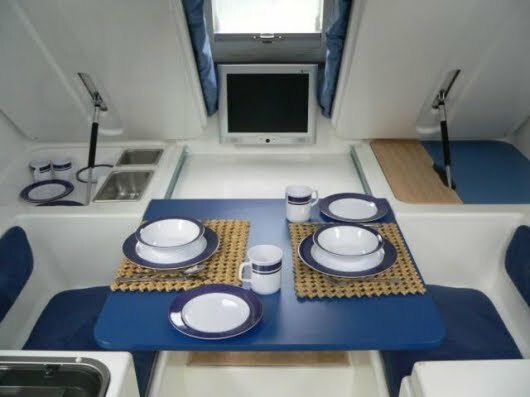 While Oprah struggled to cook a meal of sea bass and potatoes on a fire those with a motorhome rental would find it much easier to cook whatever they pleased in their RV. The following day the friends tried their hands at fly fishing, socialized with others in the park and went horseback riding, just a sample of the things available for those who visit Yosemite. 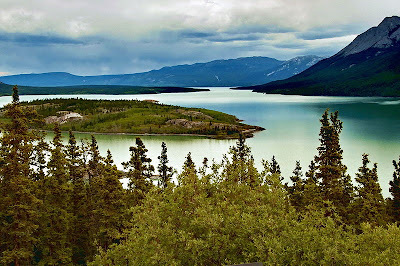 For more information about planning your own RV rental road trip visit MotorhomeRoadtip.Com. 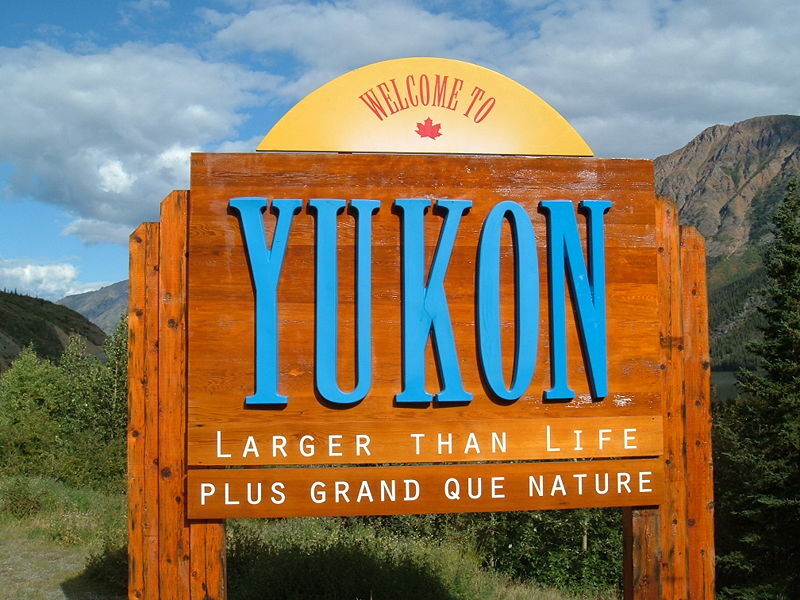 The great thing about motorhome rental road trips is that the possibilities--where to go and what to see--are really endless. While the freedom of the open road is a great thing it can also present problems when trying to plan an itinerary for your vacation. Even once you've narrowed down what country you'd like to travel to the question of where to go, what drives to take, and just what sights to see, remain and narrowing them down can be quite the task. Now a new set of travel guides, Eyewitness Travel's Back Roads, is looking to help you make some choices and plan your next road trip. 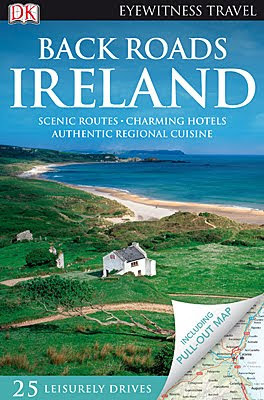 The initial offering includes guides for Ireland, Great Britain, France, Italy and Spain with an Australian edition set to be published soon. These guides are written by experts in the travel field who have lived in the places they write about. What you get is a guide of road trips that range from one to seven days and while some include the usual tourist draws many are all about unique activities, off-the-beaten-track destinations and authentic experiences that will help you to see the country as a "native." The guides not only have detailed suggestions for stops and restaurants, but also a pull out map to help you plan your motorhome rental road trip. Also, if you're an iPhone or iPad user DK Eyewitness Travel has teamed up with Coolgorilla to bring their guides right to your phone. If you'd like advice and ideas on planning a campervan rental road trip to any of the above destinations and many more, plus great deals on an RV rental, then head to MotorhomeRoadtrip.Com.